Towards the top of my favourite places here in Singapore has to be this place and yet how many people on the island even know of it's existence? 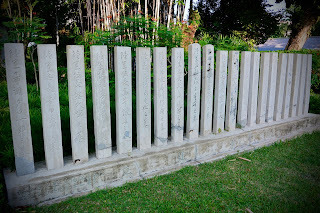 Maybe because of painful memories, but this post isn't in anyway judging what happened, it is purely giving the history behind this park. 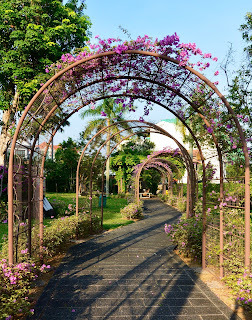 I love visiting first thing in the morning, just as it opens, when the sun is still rising, sit or wander around and the peace and tranquility is only disturbed by the sound of bird song, even though you are quite close to busy Yio Chu Kang Road. 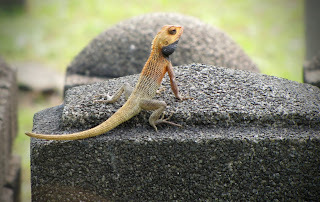 I've seen a night jar here and you will definitely see numerous lizards, sitting atop the grave stones as they take in the warmth of the new day. What I've learnt since investigating this ceremony is that it served the Japanese who had lived here in Singapore since the late 1800s in what was Singapores 'Little Japan'. 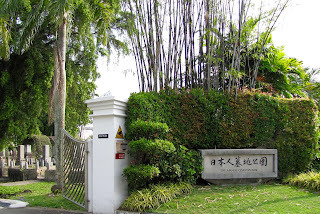 Situated around Middle Road in what is now the Bras Basah, Bugis area. 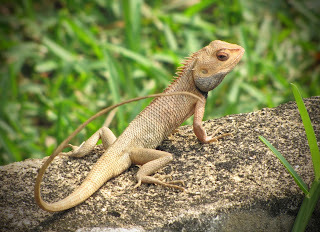 The population of Little Japan and the Japanese in Singapore, from the 1870s up until 1920, was predominantly made up of Karayuki-San (prostitutes, which translates to 'going overseas' or 'going to China') Within the cemetery, of the 910 graves, over 400 are those of karayuki-San, however as the grave markers were originally wooden, many would of rotted and disappeared so it's believed the number is much higher. 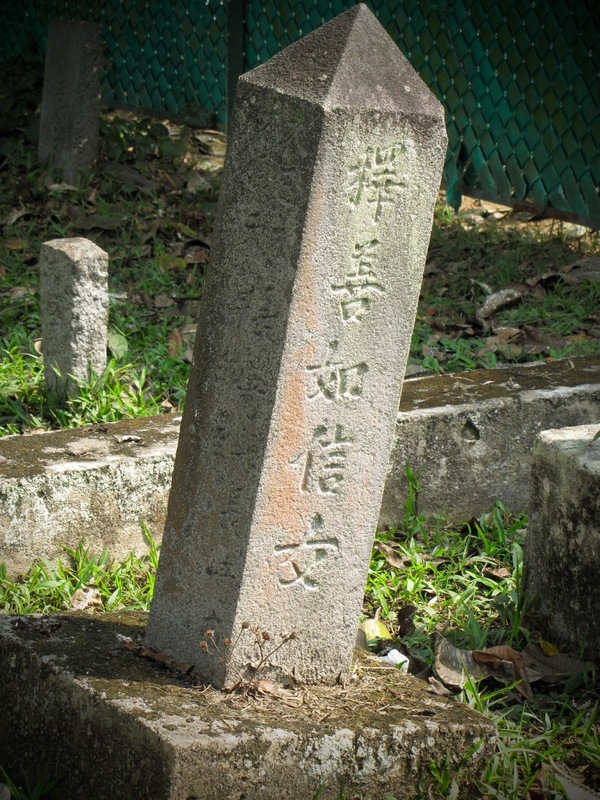 The most graves are from the Japanese Meiji era that ran from 1868-1912, in line with the period when impoverished Chinese families sold their daughters into this trade abroad. The cemetery was set up by Japanese rubber plantation and brothel owner Tagajiro Futaki, along with 2 others. 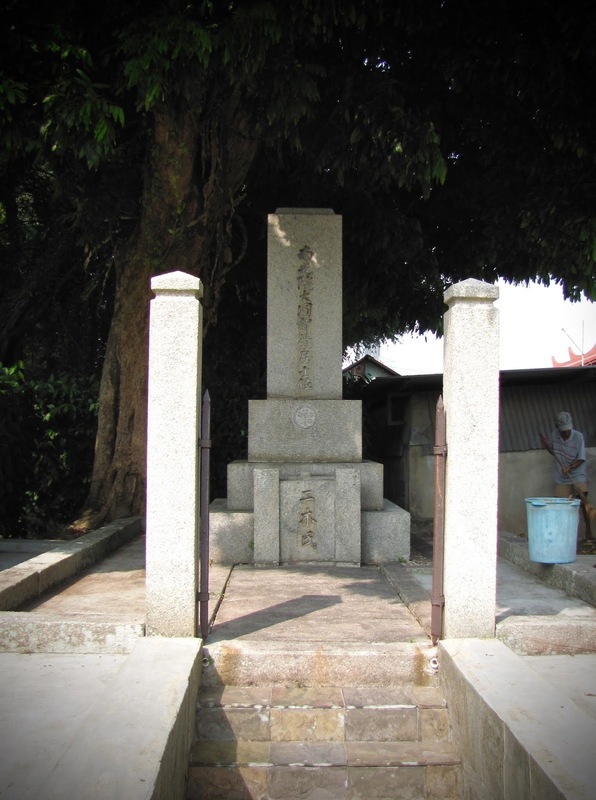 In 1878 there were 2 Japanese brothels in Malay St, however by 1905, 109 were recorded! The majority of the prostitutes were from the area around Nagasaki. 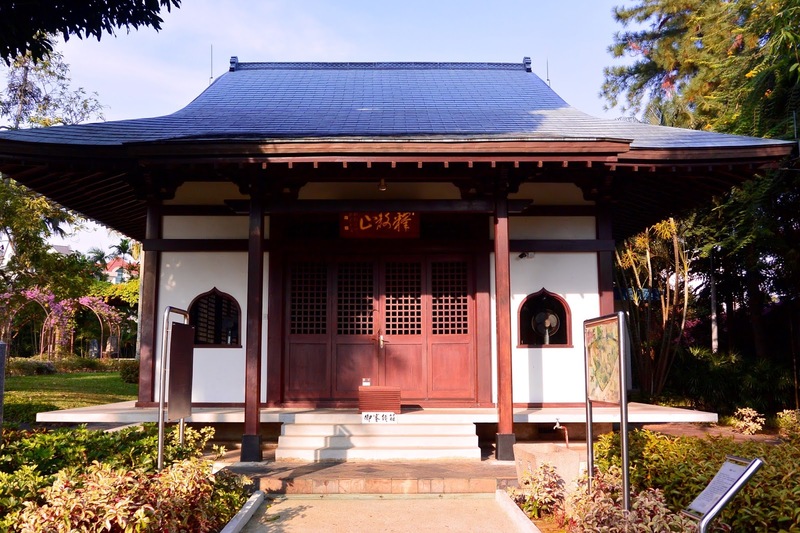 The cemetery was set up by Futaki in 1889 which is also when he set up the self help association Kyosaikai, to look after the welfare etc and eventual burials of the women. 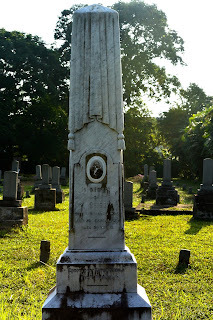 Many of the wooden grave markers were replaced then by the stone gravestones you see today. 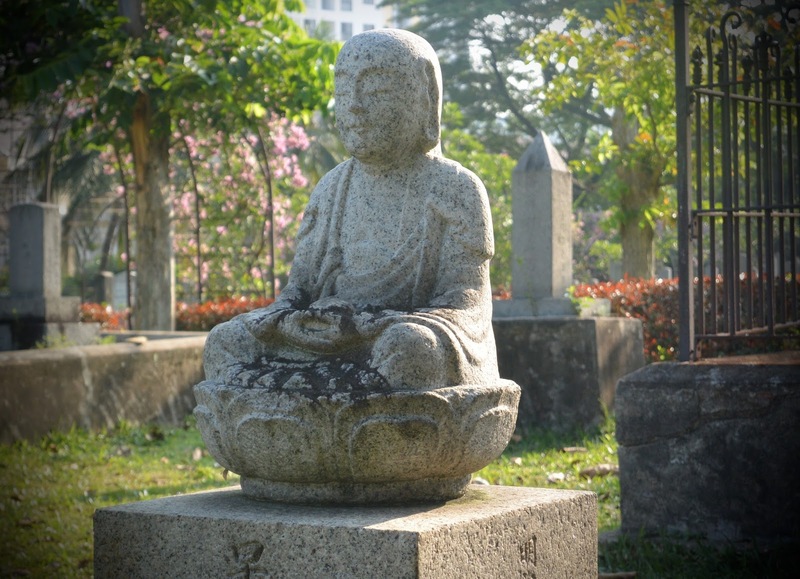 It is however almost impossible to trace these women as when they died they were given Buddhist names. The cemetery was started in 1889 with the first grave being that of Toma 13/10/1889 although it was officially opened in 1891, when at the time many remains were reinterred from other cemeteries. 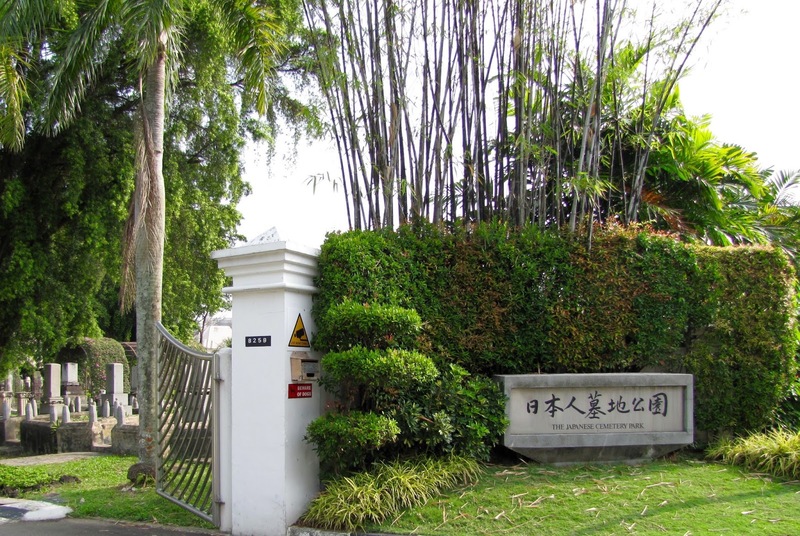 WWII and things change again for the cemetery and this is reflected with what is happening with the Japanese within Singapore. 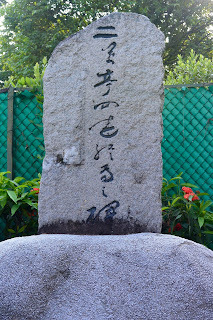 With war declared against Japan in Dec 1941, this signaled the end of Little Japan when the Japanese in Singapore were deported to India. 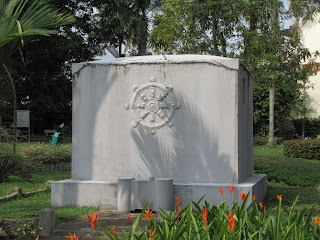 Next, from 1942 throughout the Japanese Occupation, their war dead were buried at Bukit Batok at Syonan Chureito. 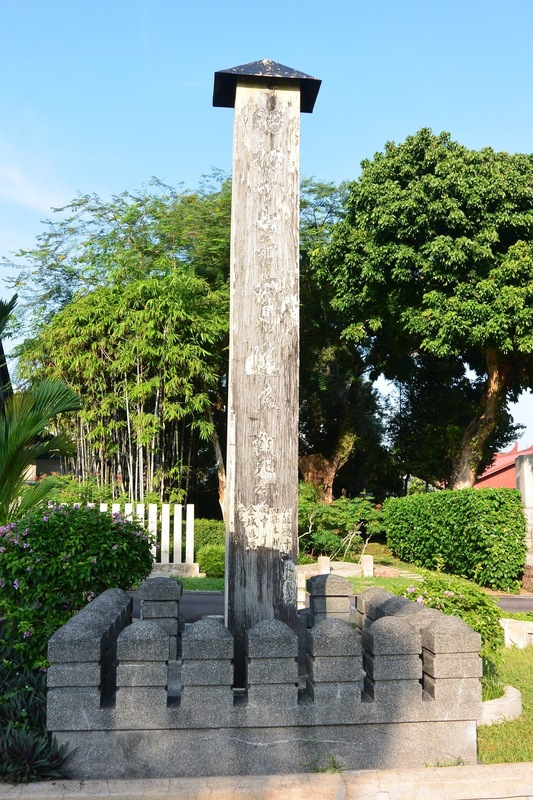 When this came to an end in 1945 Chureito was destroyed along with Syonan Jinja in Macritchie. 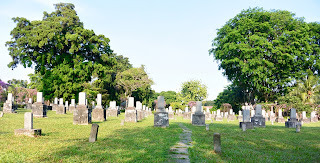 The history of the cemetery changed yet again with the running of it taken over by the Japanese POWs. 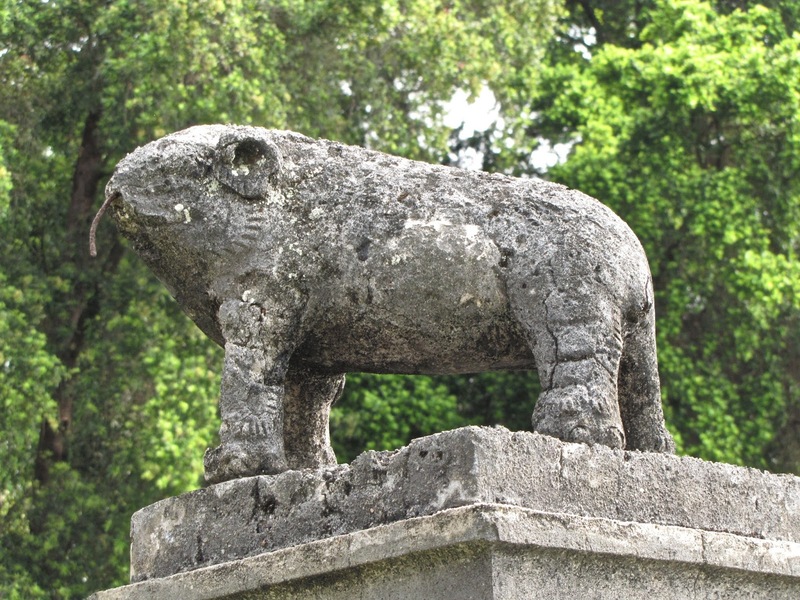 This era within the cemetery sees numerous memorials appearing commemorating their war dead. The POWs looked after here from 1947 to 1949. 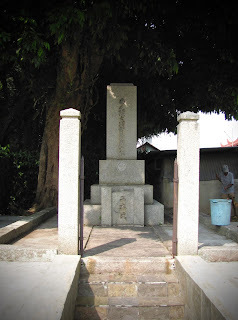 The remains of the war dead from Chureito were placed in jars in the Chamber of bones where 2 jars still remain. 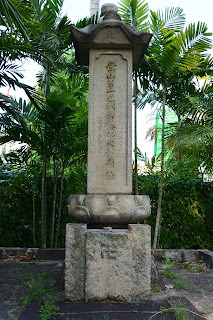 In 1949 no Japanese were allowed in Singapore with very few living here up until 1954. 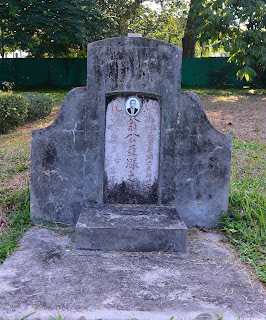 Within this period the cemetery was looked after by a Chinese man Zhang Ya Gong who stayed caretaker from 1944-60 after originally taking over from his sister. Grave of the caretaker Zhang Ya Gong. A chinese man who looked after the cemetery from 1944 to 1960 taking over from his sister before him. 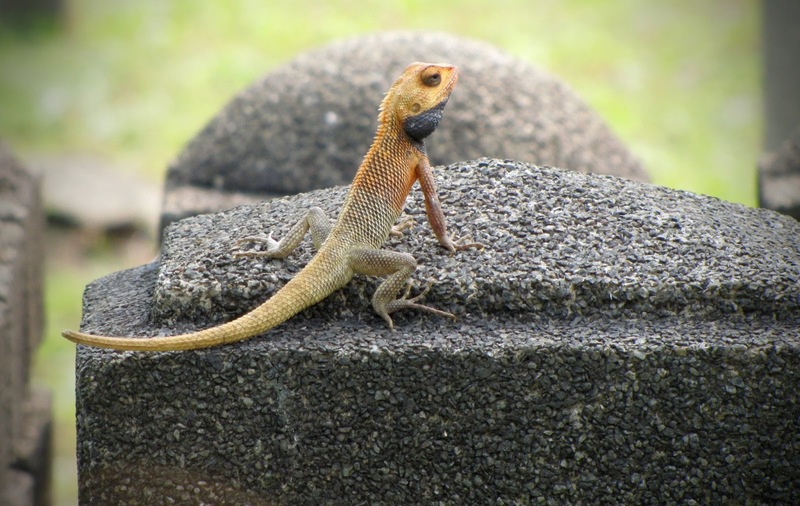 Shunned by many he was given a burial within the cemetery. His adopted son Lim Keok Kee took over the role after him. 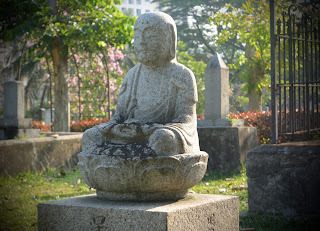 The Singapore government owned the Japanese cemetery for 20 years from 1949 to 1969 when it was then given back to the Japanese Association. 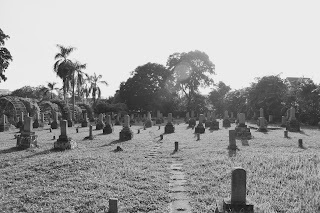 1973 saw the government end the burials at the cemetery and in 1987 it became a Memorial Park, and it becomes what we enjoy today. 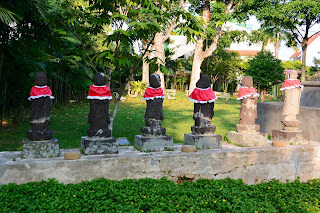 6 small Jizos as you first enter the park. Often seen together in sixes representing the different rebirths of Jizo. 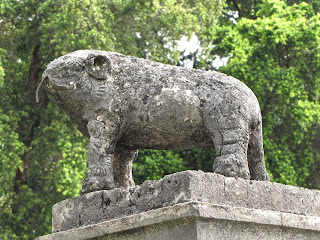 They look after the souls of departed children and travelers. 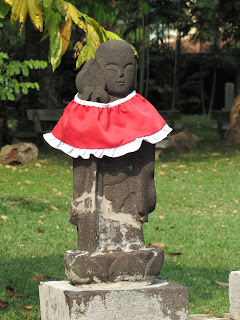 Large Jizo next to the small ones. Jizo opens the doors of hell and alleviates the suffering of the those there. 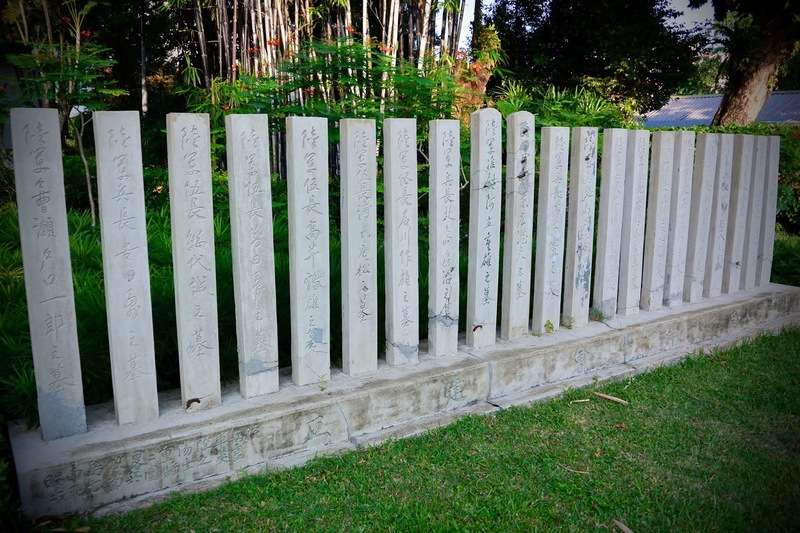 Memorials to the 21 Japanese Officers from WWII who died in hospital of their injuries. 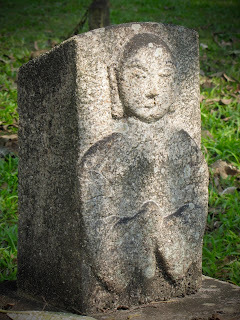 Yuzo Shibuya gravestone. This is one of the few with English inscriptions. He was a businessman and father of the one of the founders of the cemetery dying in 1906. Futabatei. This is a memorial erected to a well known japanese author, 1864-1909. 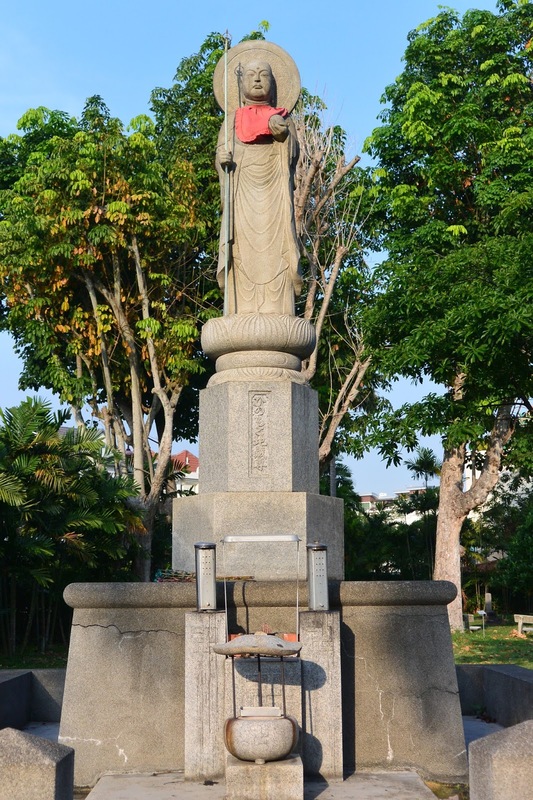 He died aboard ship in the Bay of Bengal, was cremated in Singapore and his ashes returned to japan. 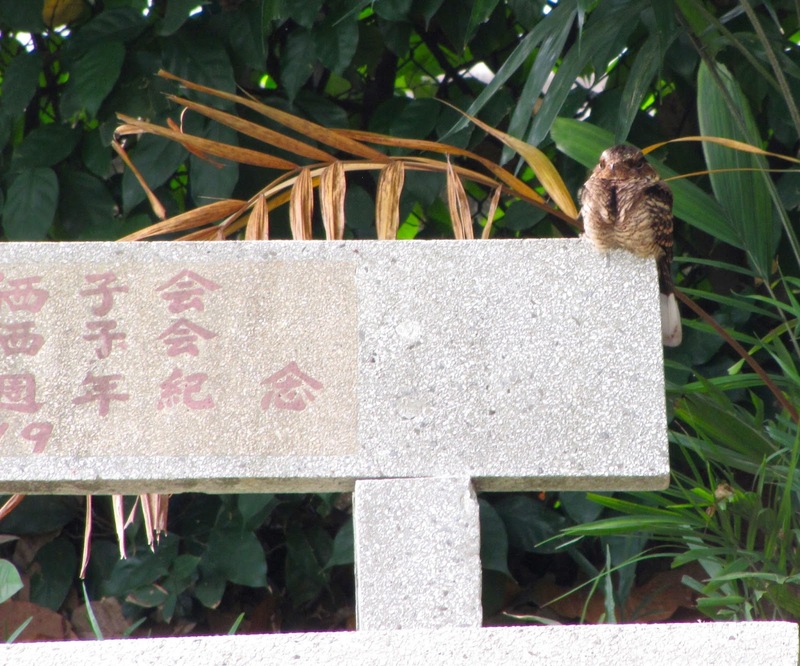 I believe these could be the graves of the Tomikazu family. 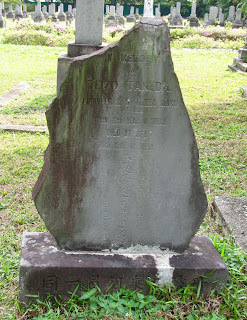 Husband, wife and their 3 children who died young.